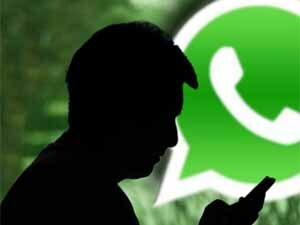 Android mobile messaging popular app 'WhatsApp', which allows you to exchange messages without having to pay for SMS, may soon support the Video Calling feature in a larger method to the app, in coming months. Accroding the reports, WhatsApp may soon give a tough competition to video calling apps such as Skype, FaceTime and others as the company is rumoured to soon introduce the video calling feature in WhatsApp. 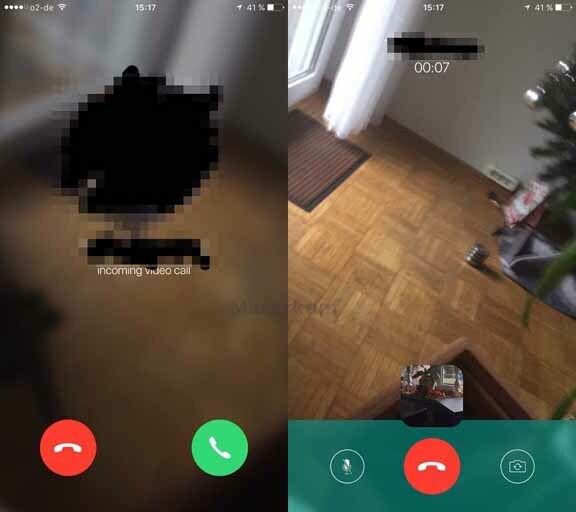 German website Macerkopf.de has released screenshots of the WhatsApp video-calling function from personal beta types of the app’s version. Screenshots of the calling function that is the video display that customers will have the ability to show the microphone off in addition to switching the camera. The format of movie calls exhibits one each, two windows for the individual who has acquired the phone call and also that owner. The screenshots show the iOS app version and is also expected to add a multi-tab feature so as to make it easy for one to switch between different conversations and groups. report says that, "After WhatsApp has already introduced VoIP telephony few weeks ago, the developers are now working on a video chat feature, as we know, for example, FaceTime or Skype. You can make calls with a WhatsApp friend future not only by voice, but also via video chat." Further said that, "In full screen is your opposite and shown in the small picture you see your check image. This can be moved on the display. You can also mute and switch between the front and rear camera." The report adds that the official version of WhatsApp, which is currently in the iOS App Store, carries the version number 2.12.12 and, developers along with beta testers are currently working on 2.12.16.2 version. In addition, the colour green will become more dominant in WhatsApp for iOS’. This is said to make the iPhone version more consistent with the Android version.